Gorgeous. And I like how Fisher-Price gets us to assemble our own toy—very Tom Sawyer. 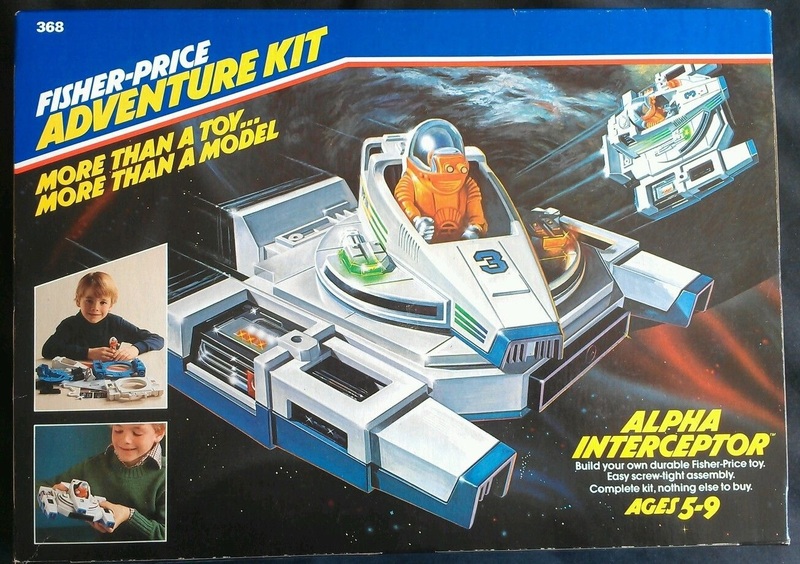 There were four Adventure Kits, three of which are seen on the back of the box. The fourth was the 4×4 Trail Boss. All of them are part of the superior Adventure People line. Wow. Never saw these! 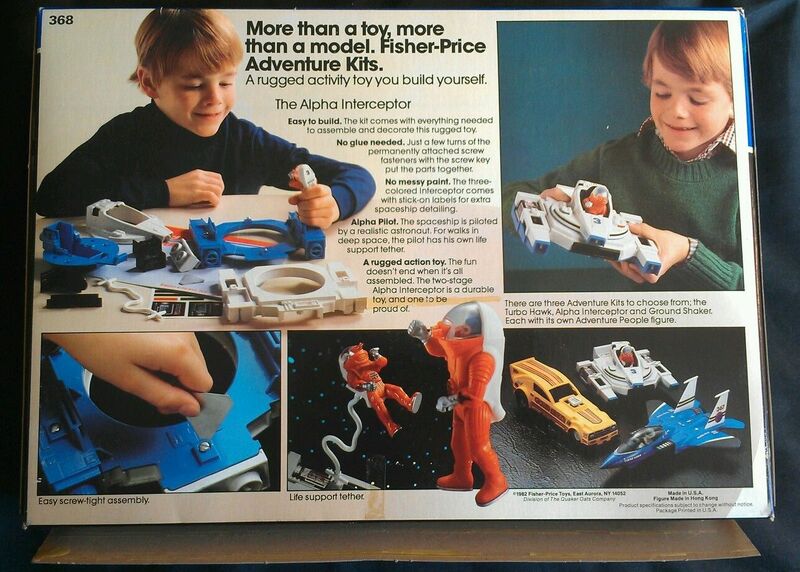 It’s crazy—when I looked up the FP Adventure People catalog, I realized that I had nearly every single set back then. Why didn’t I know about those kits? Nevertheless, those sets RULED. 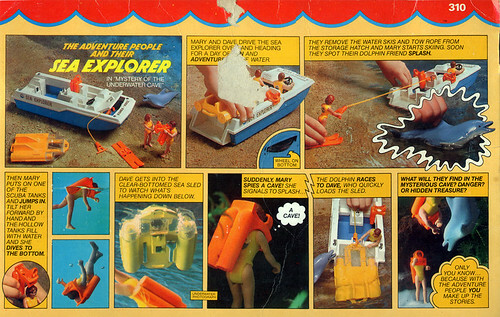 My all-time fav of ’em was the Sea Explorer set, which was perfect for playing on the shag carpet and in the bath tub, or better yet, my uncle’s pool. Did you see the shot of my original box on Flickr? Yeah, we talked about that one some time back. It’s my fave too. The only time I ever wanted to take a bath!